ObamaCare, AKA the Patient Protection and Affordable Care Act, begins January 2014. Are you in Georgia ready for the changes? We have compiled a list of the important items about the new health exchange. â€¢ All persons in the Peach State must purchase health insurance or owe a penalty by law. There are a few exceptions to this rule including if this goes against your religion. To read more about penalties for the uninsured or to see if qualify for one of the exemptions, please read the article Affordable Care Act: Penalties for the Uninsured. â€¢ The Affordable Care Act guarantees all Georgians eligibility for healthcare regardless of preexisting conditions. To learn more about guaranteed eligibility read the article ObamaCare: Guaranteed Issuance for Everyone. â€¢ Over a million residents of Georgia will qualify for federal subsidies to help cover portions of their premiums, including 94% off the currently uninsured non-elderly. To find out if you are eligible for a federal subsidy in GA Health Care Exchange Subsidies: Do You Qualify? 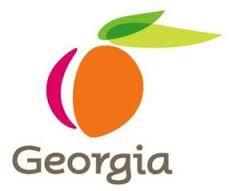 â€¢ To prepare all citizens of Georgia, the 2014 initial open enrollment period ranges 6 months: October 1, 2013 to March 31, 2014. Contact 800-930-7956 extension 0 for assistance signing up. For more information about the Health Exchange in Georgia please call 800-930-7956 or contact Medicoverage: Georgia.